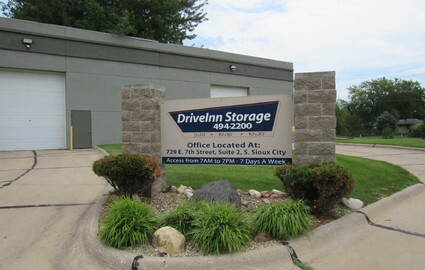 Drive your vehicle right into our storage building to load and unload your belongings with ease out of the weather into your private storage unit at our Drive-Inn Storage South® location. Rainy day? No problem! Your stuff will stay dry throughout your move in process. Need a climate controlled unit? No Problem! Our Drive-Inn Storage North® location has various sizes that are warm in the winter and cool in the summer. Perfect for record storage, furniture, electronics and collectibles. We provide the most convenient storage experience in Siouxland with 2 locations to serve you. Reserve your space today ONLINE! All of our locations have state of the art access/exit security and 24 hr video surveilance. 3. Click "Reserve" and we will call you to move in! You will need to visit our office to officially lease your storage unit (see address below). You can however RESERVE a storage unit here or over the phone. Reservations will be held for 24 hours. Our modern facilities were constructed with the goal of providing the most convenient storage experience possible. All of our facilities have state of the art video surveilance and computerized access and exit key pads. This security measure limits who can access our storage facility and the grounds, and allows us to review who has entered and exited the property if necessary. 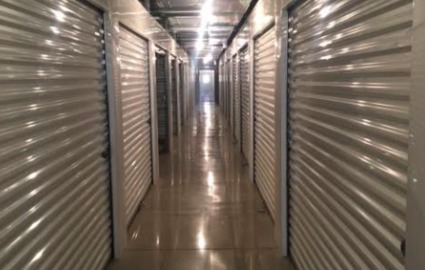 From the traditional storage unit to cilmate controlled units, to secured outside RV and boat storage, we can asiist you in your storage needs. Your personal belongings are important to us!! Need a place to store your recreational vehicle? In addition to our high-quality storage units, we offer spacious parking spaces that are a great way to clear up driveway space at home. Don't park your RV on the street - keep it protected in our fenced, gated and well lit outside storage. Our spaces are perfectly sized for nearly any vehicle. New state of the art LED lighting and secure fencing. Reserve your space online or call us today to rent your space. 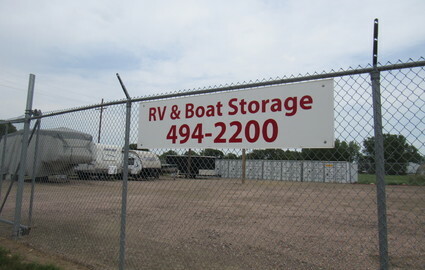 Boat and RV Storage located at Drive-Inn Storage South- on the right, click on the Drive-Inn Storage South location to reserve your space. Stay cool in the summer and warm in the winter! Never worry about late fees!